The CD packets sticks to the seal of the CD packet when it is being taken out. New CDs are generally sold in these transparent packets. 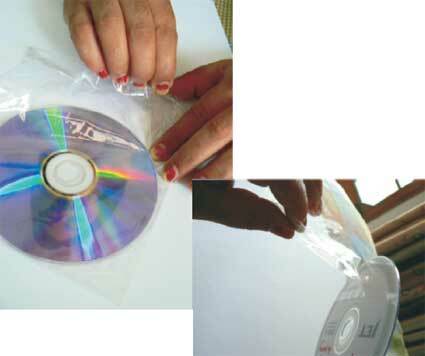 When one opens the flap and it taking the CD out, the CD gets stuck because of the sealer glue. This polythene being very light becomes very difficult to handle hence adds to the problem. Well who told you buy them for Rs.15 then? Go buy the Rs.30 cds with cases.